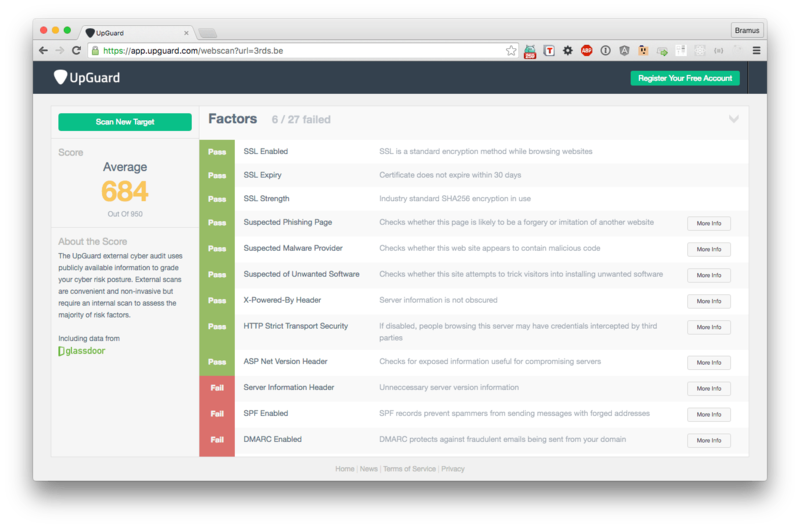 The UpGuard external cyber audit uses publicly available information to grade your cyber risk posture. External scans are convenient and non-invasive but require an internal scan to assess the majority of risk factors. Checks for thinks like SPF records and stuff.